Once healthcare providers create an individualized dose plan on a separate healthcare provider portal, users can activate the app with a verification code received via text message (without this code, the app cannot be used). For the app to provide dose guidance, users have to manually input their fasting blood glucose (FBG) levels and insulin dosing once a day, along with any incidences of low blood sugar (hypoglycemia). 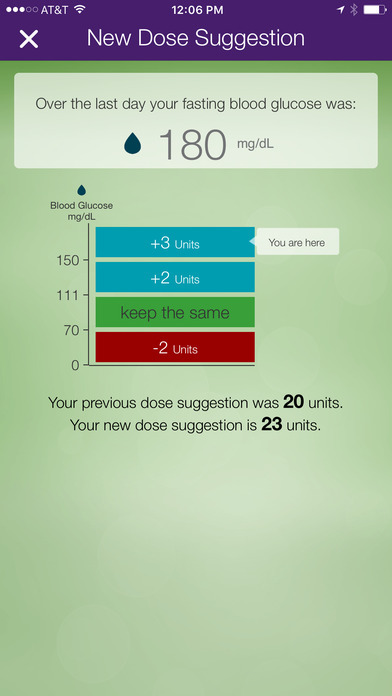 With that information, the app tells users whether or not to adjust doses and by how much. 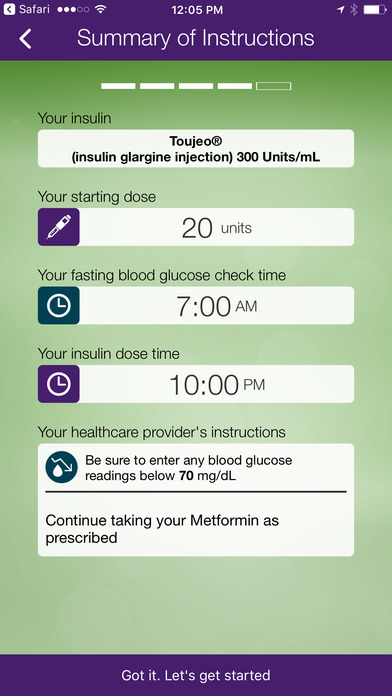 Importantly, by calculating insulin doses and providing easy-to-read management plans (see screenshots), My Dose Coach should save time and confusion for users trying to analyze patterns and figure out how much to take, particularly given that the interface clearly shows the dosing plan and what it is recommending. The app can only be used in conjunction with a prescription, and of course, is not a replacement for a healthcare provider. However, it should provide timely, helpful insulin dose feedback in between appointments. As a Sanofi product, the app can be used by people taking Toujeo or Lantus in coordination with their healthcare providers; we don’t believe other insulins are available for use with the app. Downloading the app is free, but it is not yet clear if Sanofi will have a reimbursement or subscription model linked to the app. 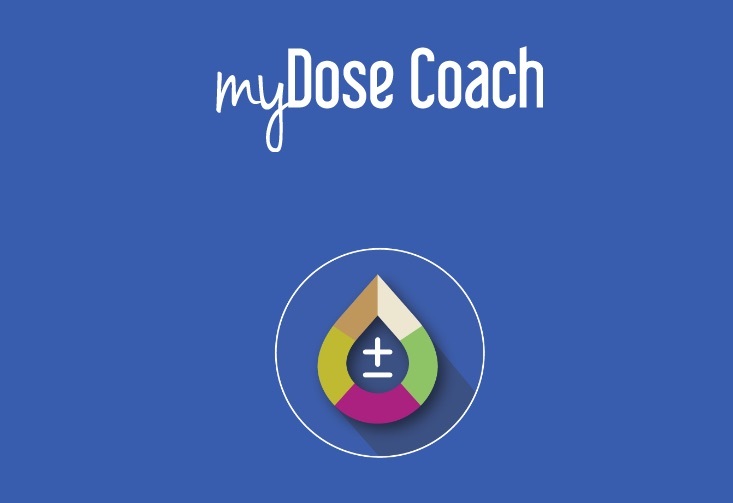 For more information about the app, go to the My Dose Coach website here. If interested in using My Dose Coach, talk to your healthcare provider about getting started with the app.